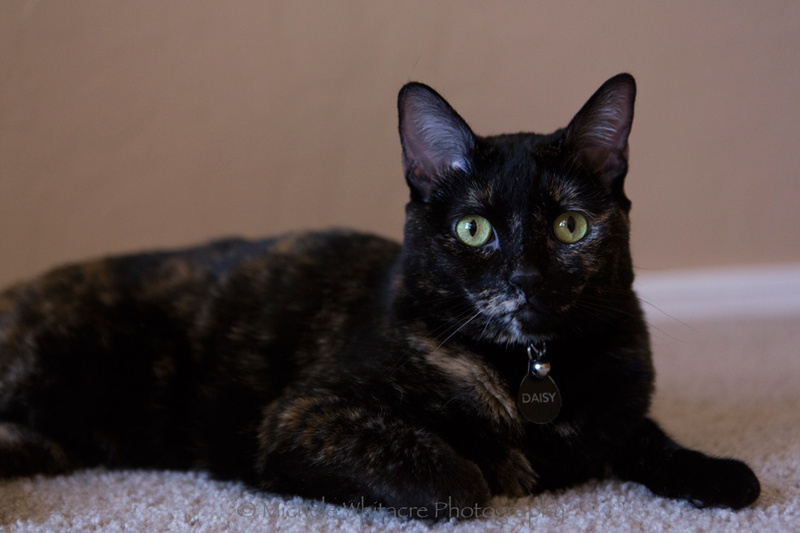 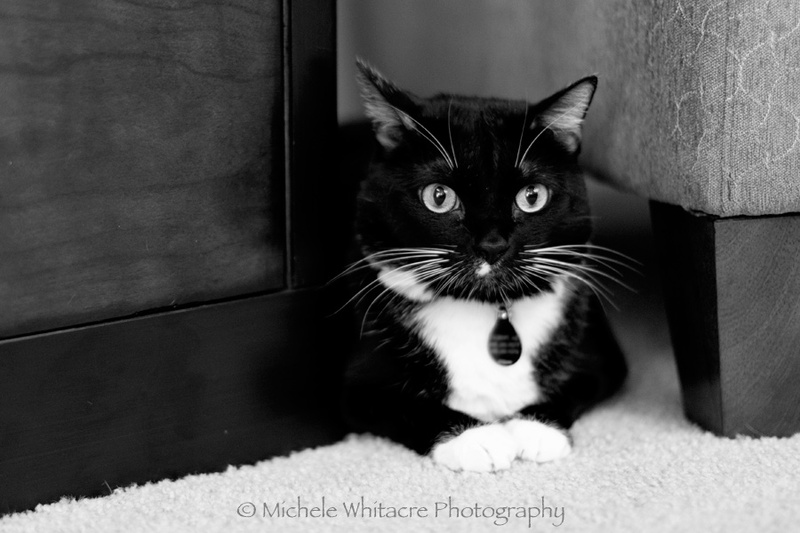 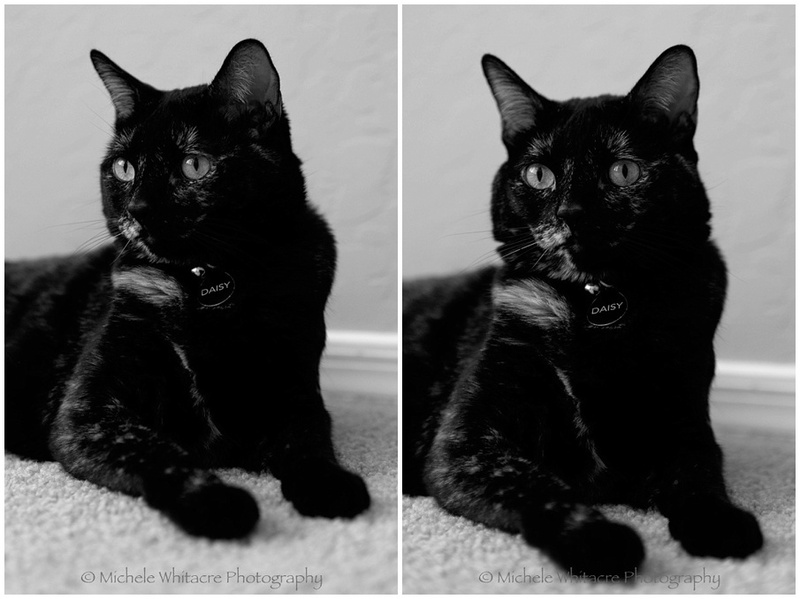 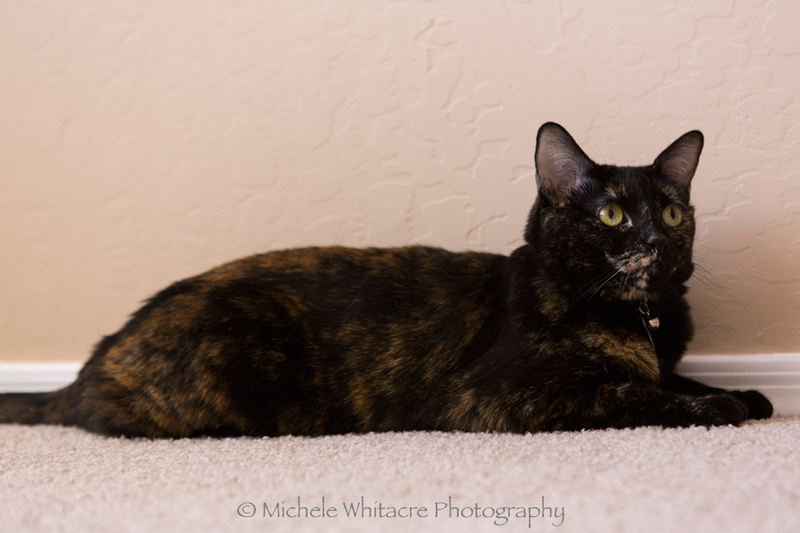 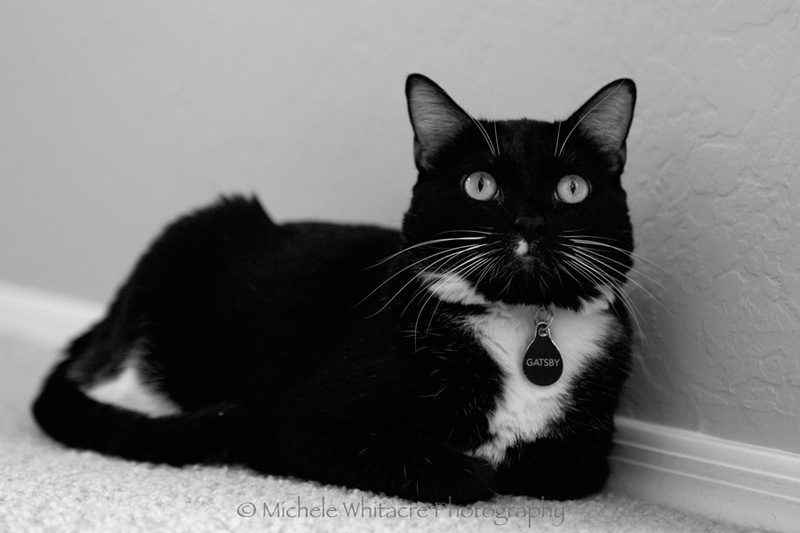 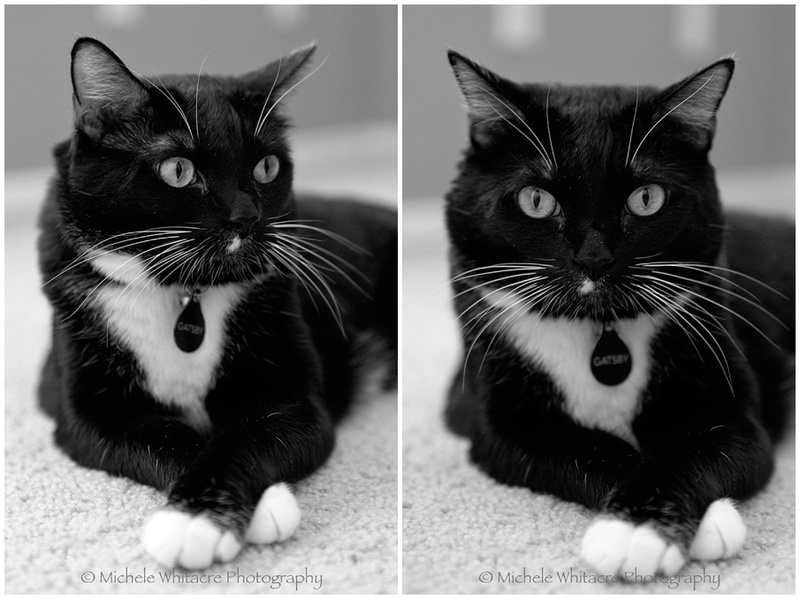 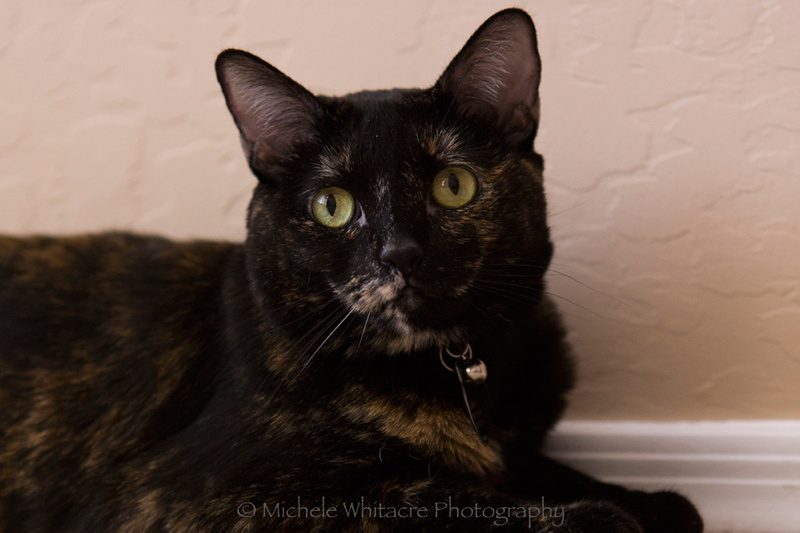 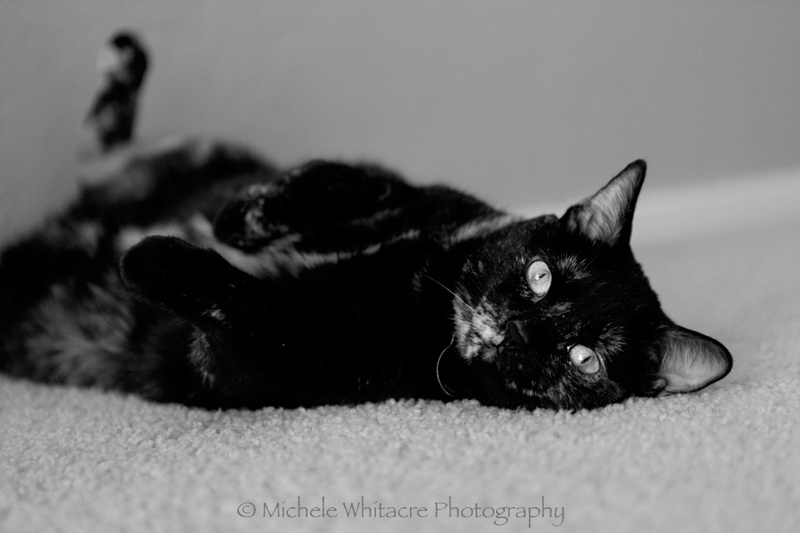 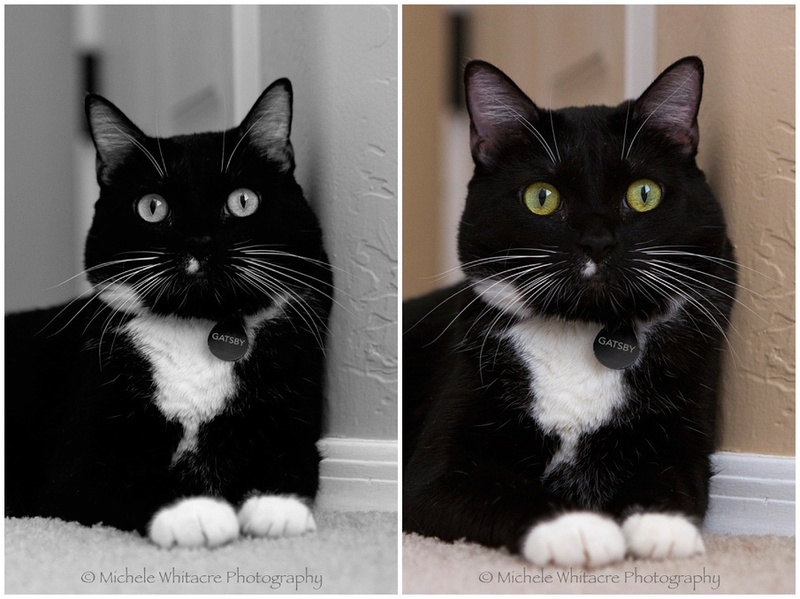 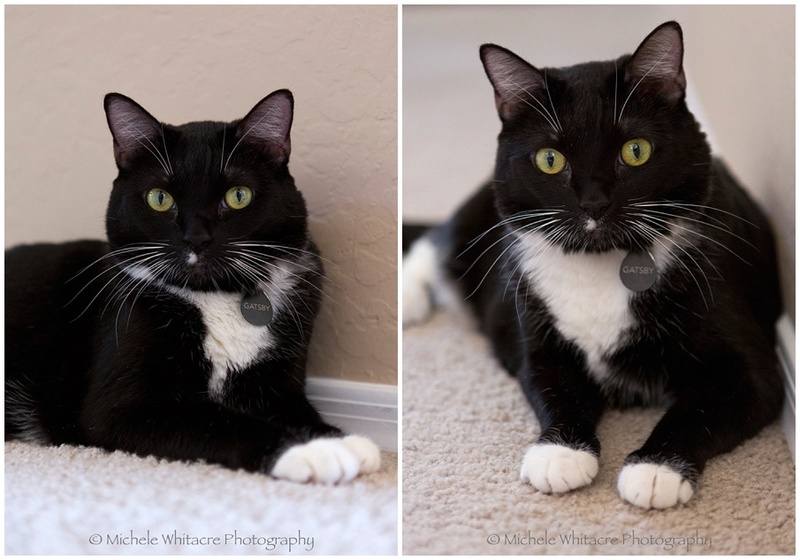 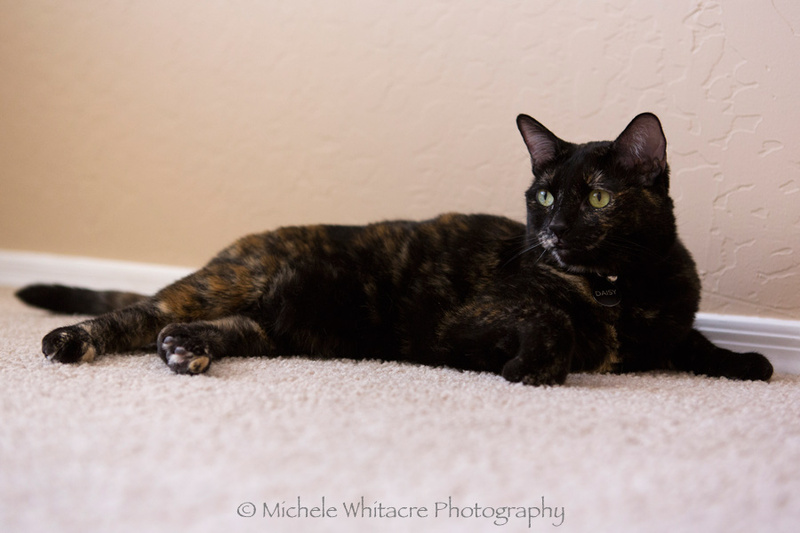 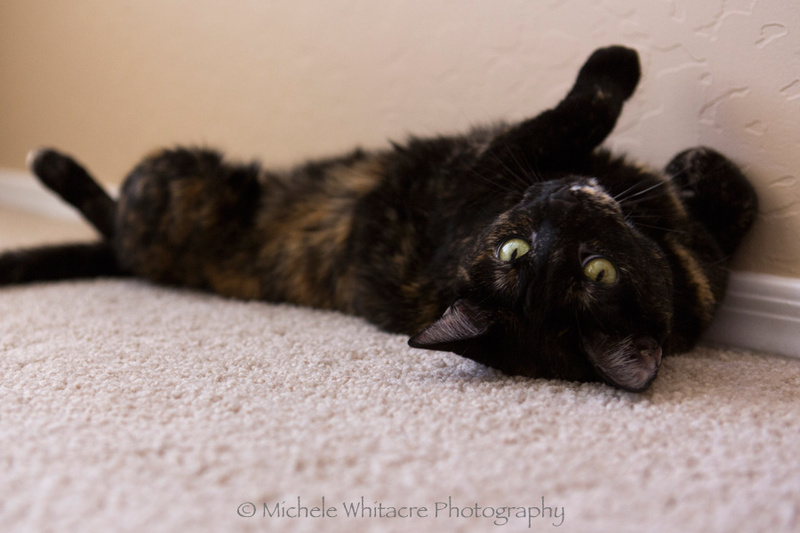 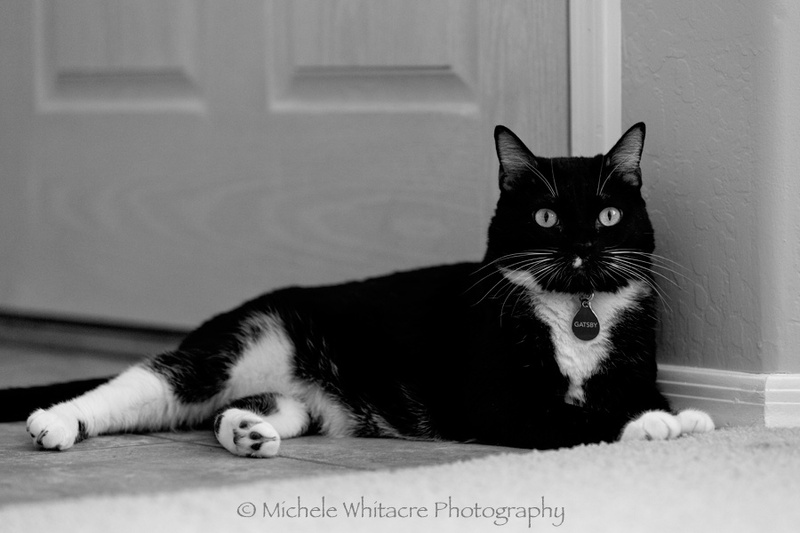 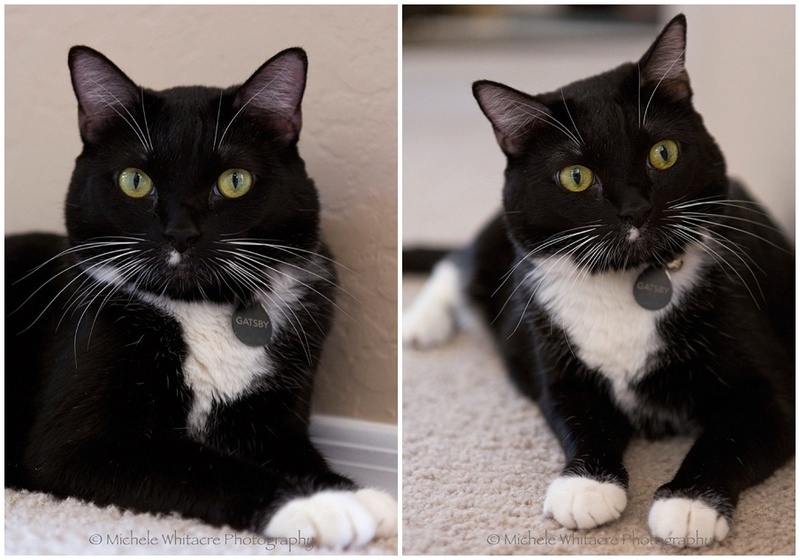 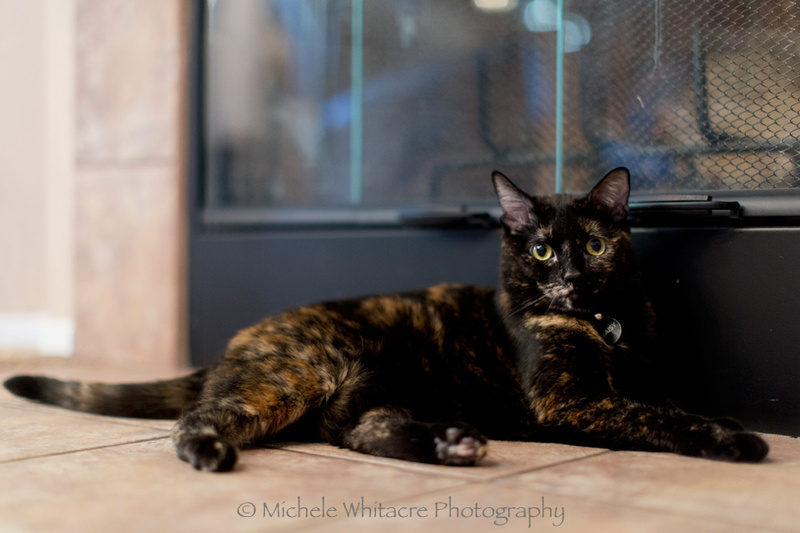 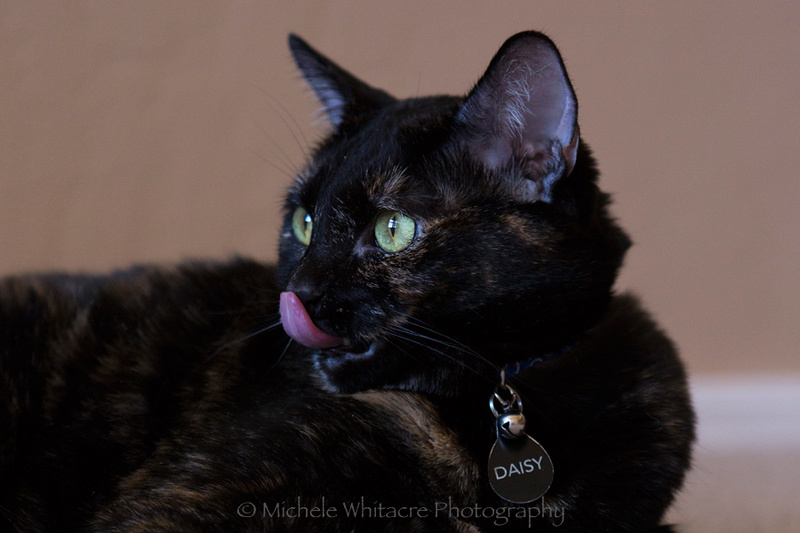 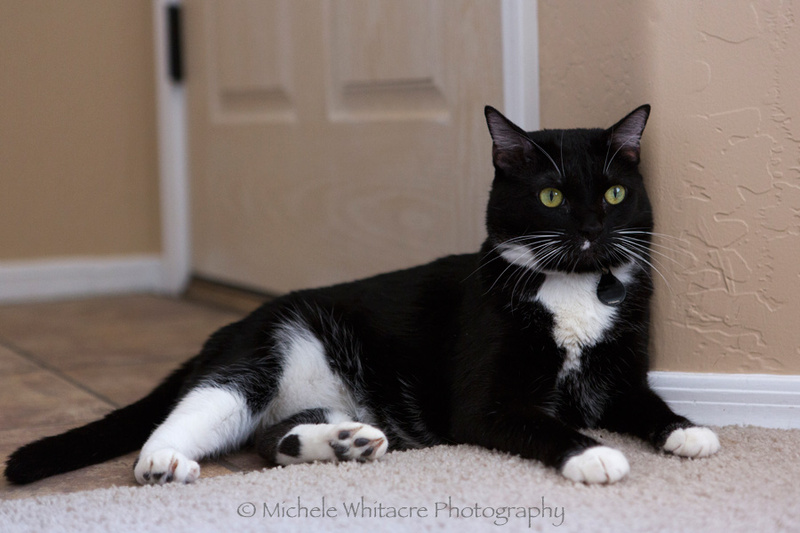 Michele Whitacre Photography | Blog: Daisy & Gatsby: An Overdue Blog Appearance! 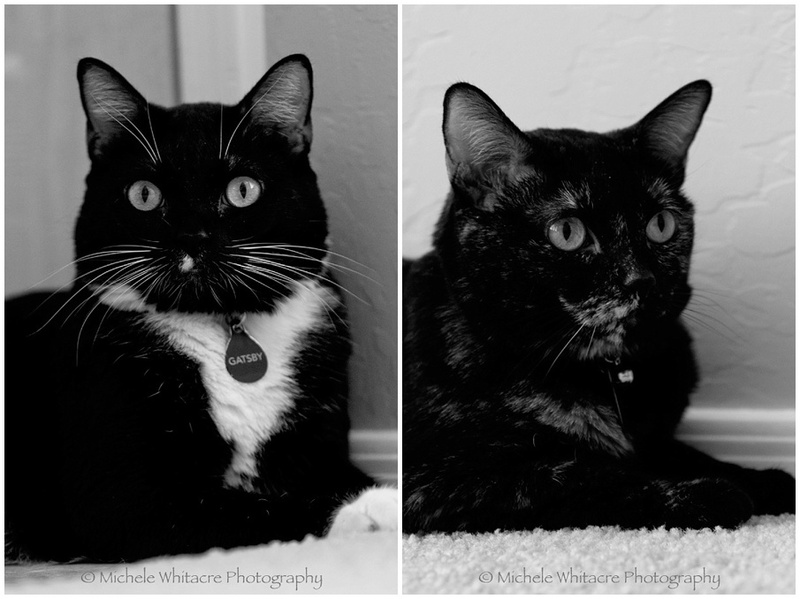 Poor Daisy & Gatsby have been sorely neglected on the blog! 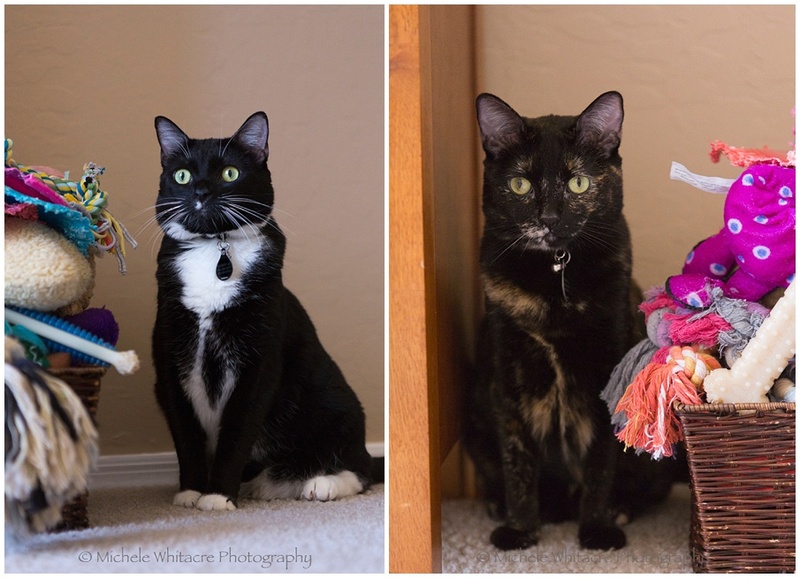 The last time I posted any photos of them was in September 2014, shortly after the one year anniversary of when we adopted them. 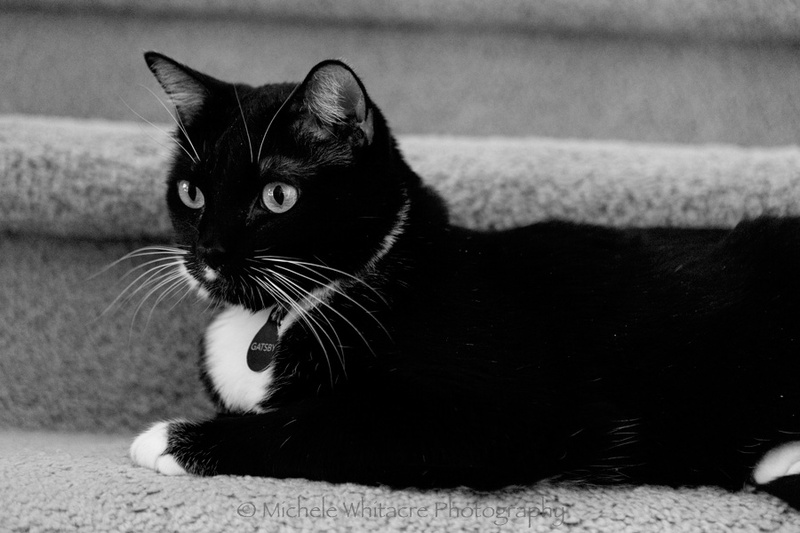 I stopped blogging just before their second birthday so there are only a handful of posts including photos of them. 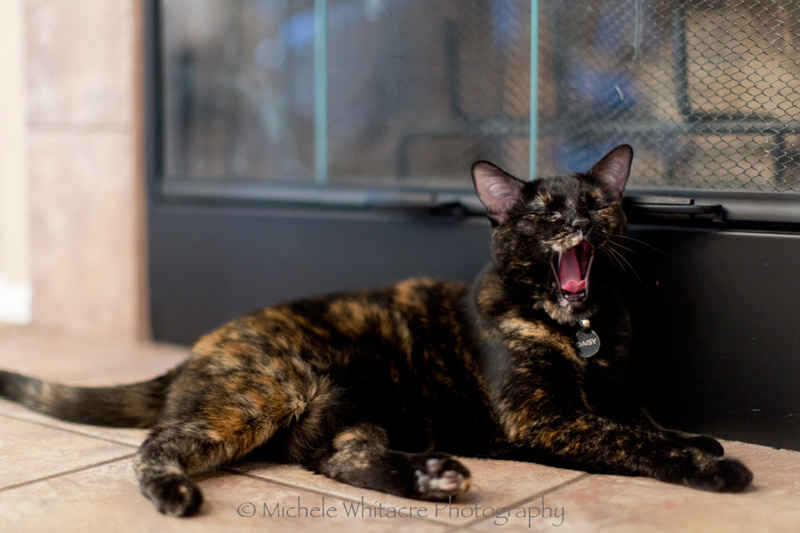 Many of those are ones that I added to posts of the dogs' birthdays, since the cats love to get in on the present opening fun, too! 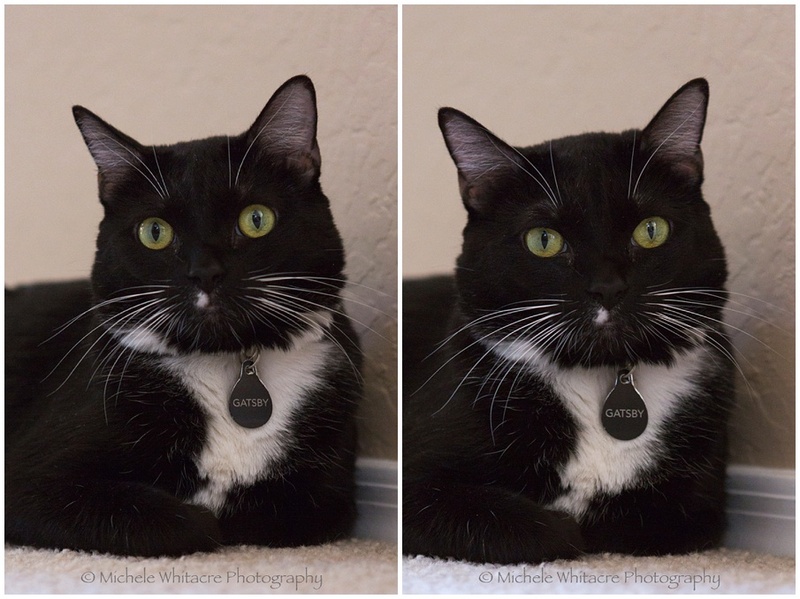 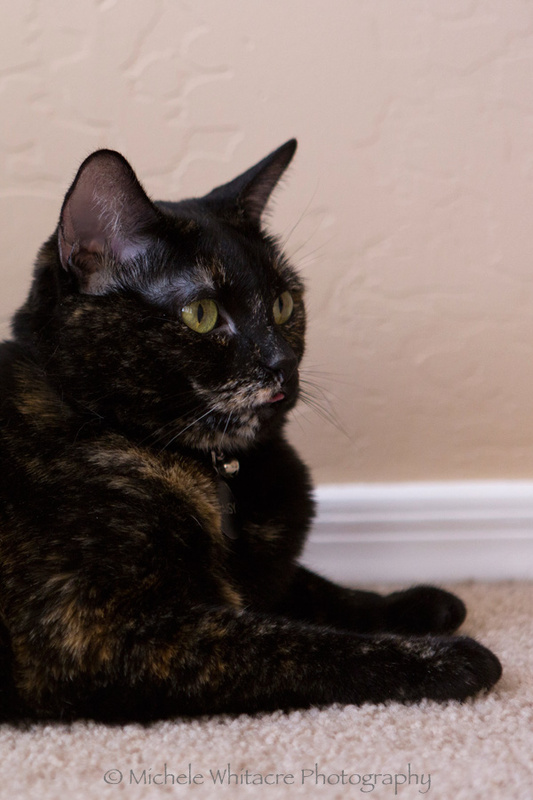 Just like our dogs, our cats have very different personalities. 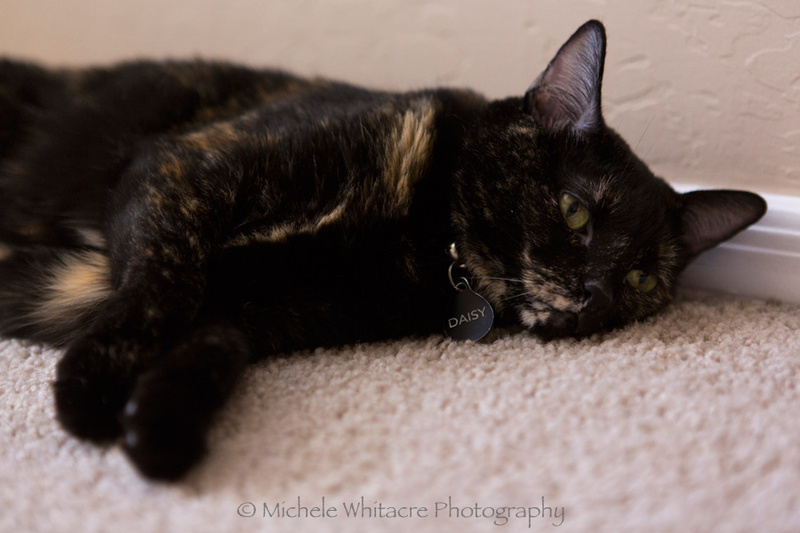 Daisy is a bit wild and rambunctious, and she loves to play with her toys. 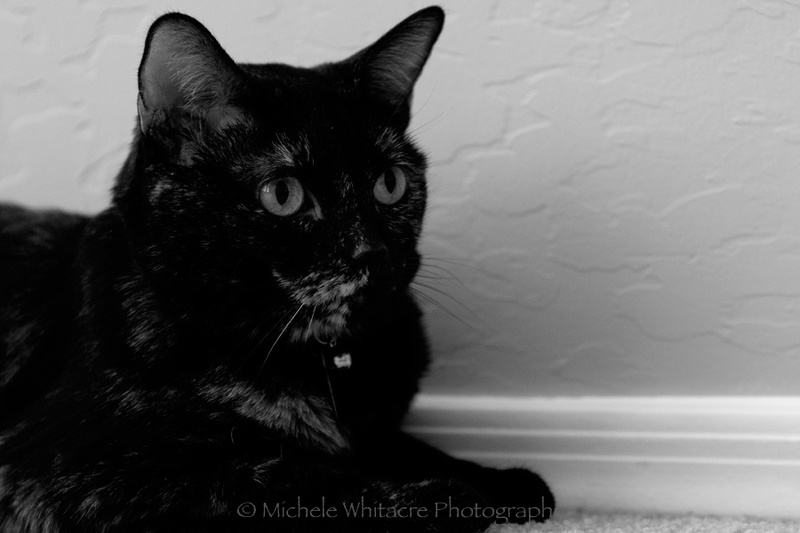 She will run around the house carrying them, or spend hours tossing and batting them around. 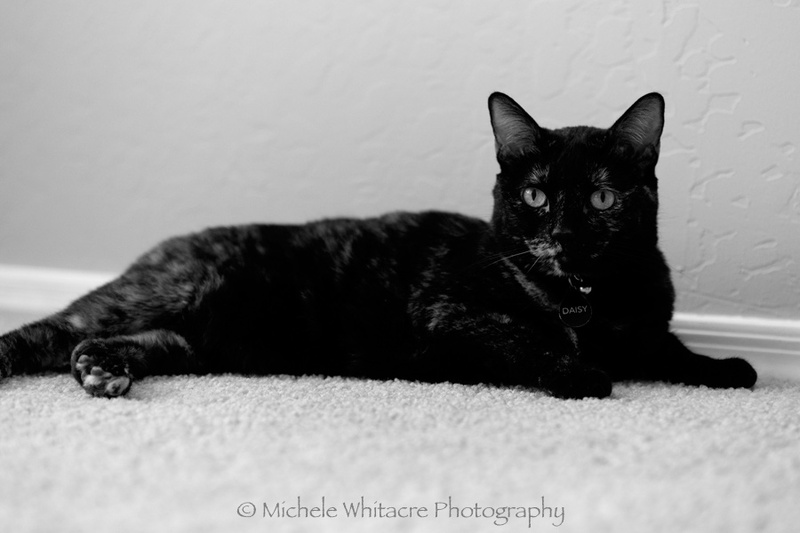 She's a bit of a daredevil and can often be found climbing high up where she doesn't belong. 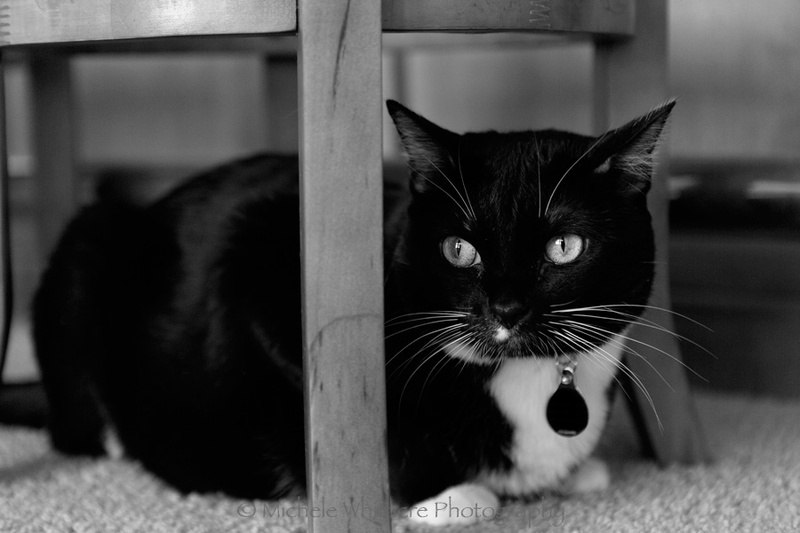 Gatsby is much calmer and can usually be found watching the world out the window. 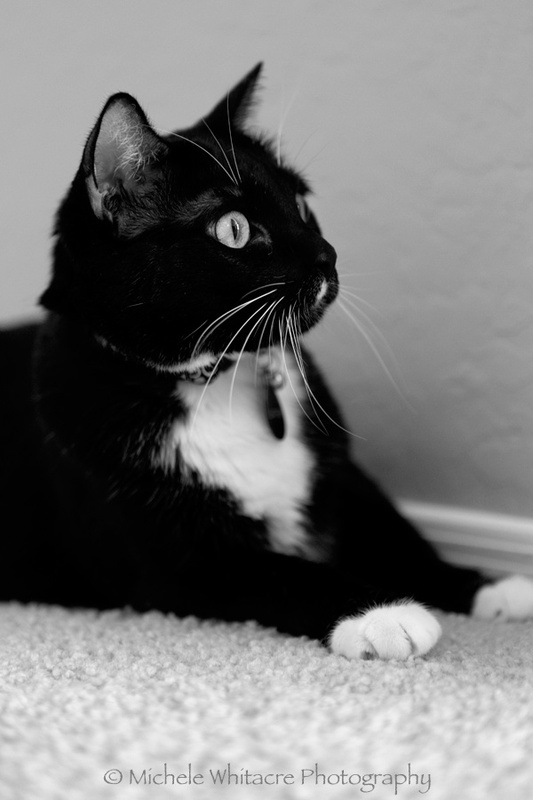 Gatsby is more likely to wander off by herself to take a nap, but she's more likely to jump in my lap when she is in the same room with us. 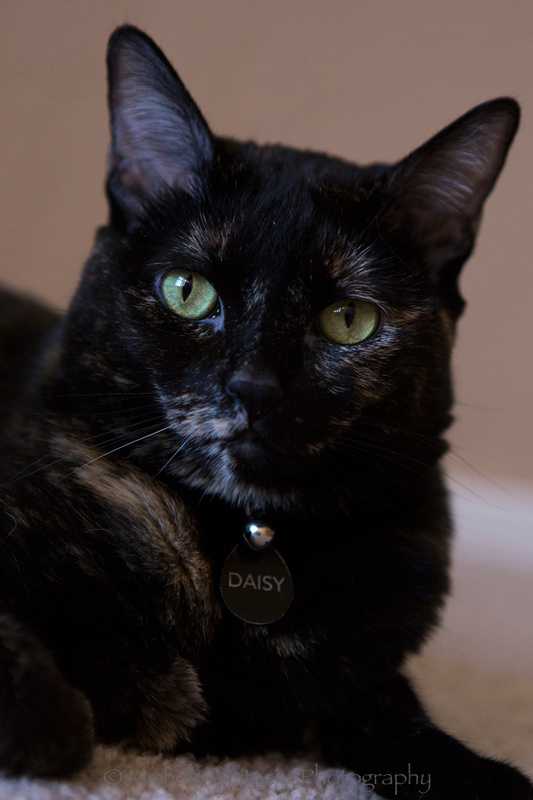 Daisy loves to be around the rest of us, but she's less likely to sit on our laps. 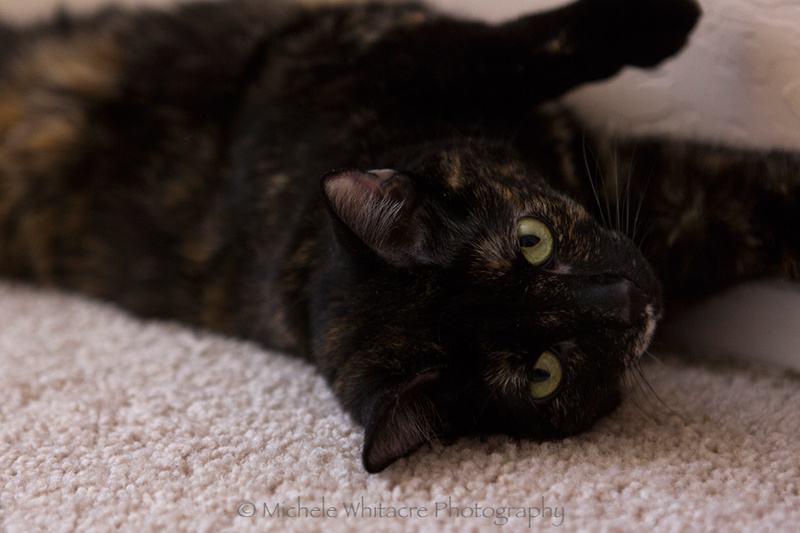 However, she's the one who is more skittish around strangers, so it often takes her a while to make an appearance when new people are at our house. 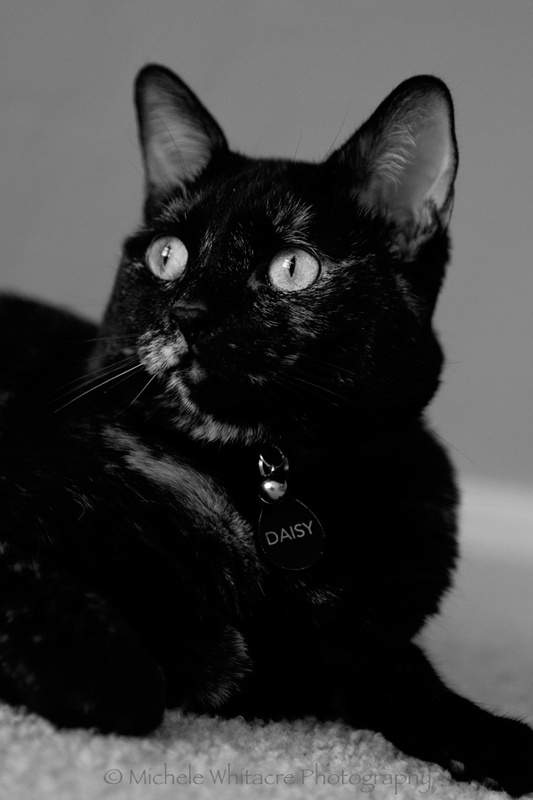 Daisy actually does better with photos, so I ended up with a lot more images of her that show off her spunky personality. 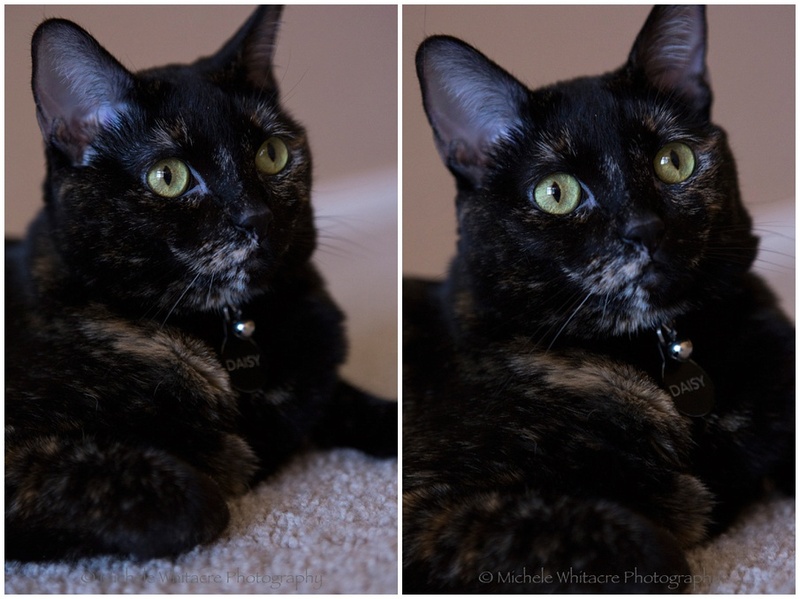 Gatsby doesn't like the sound of the camera shutter so she tends to look irritated or scared in many of the images, so I have to work pretty hard to get good photos of her. 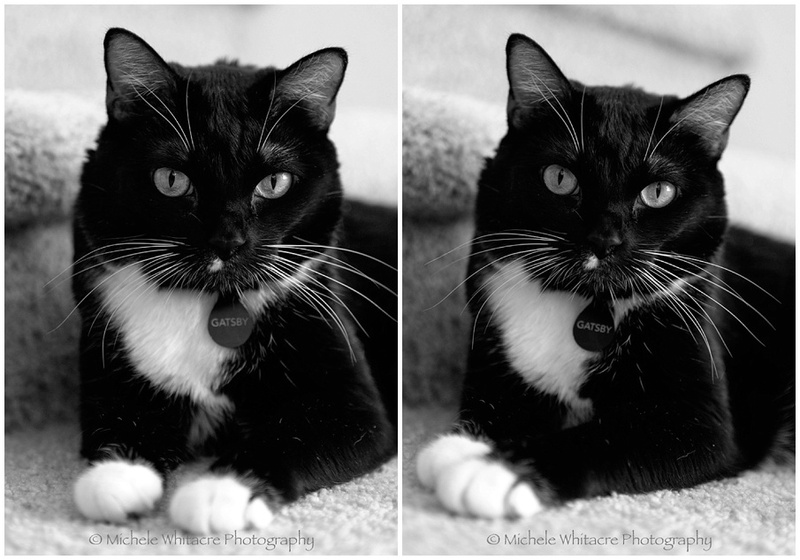 Since is has been so long since I posted any photos of them, I went a bit overboard! 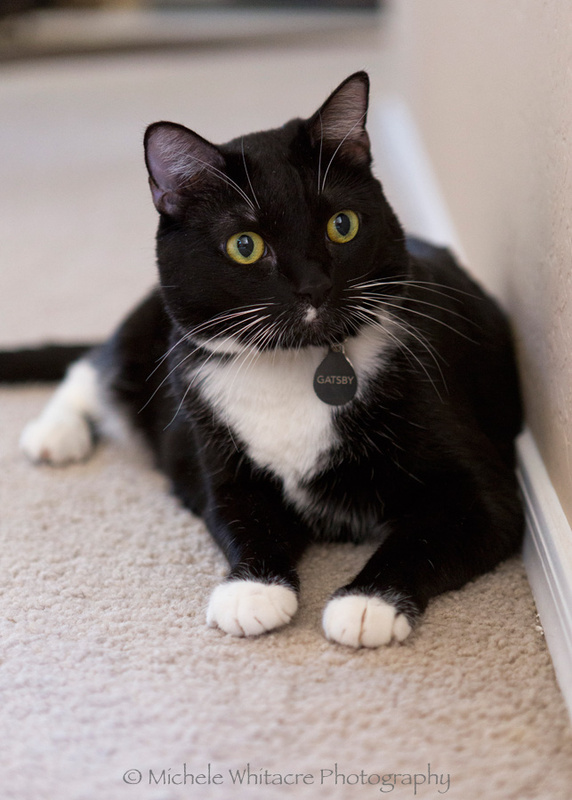 So, if you made it all the way through, thanks for stopping by!